SALVAGE RIGHTS: Barns are full of items that will be sold privately by owner. 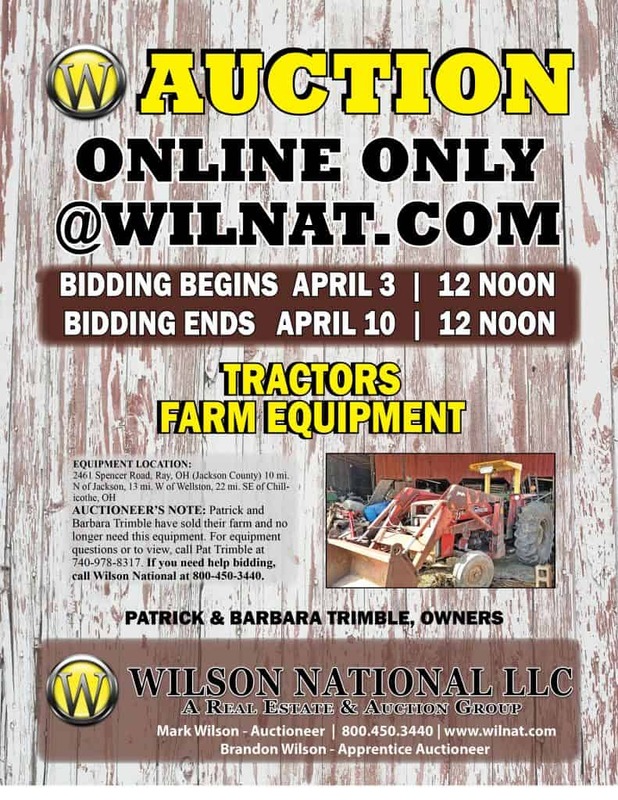 AUCTIONEER’S NOTE: Patrick and Barbara Trimble have sold their farm and no longer need this equipment. For equipment questions or to view, call Pat Trimble at 740-978-8317. If you need help bidding, call Wilson National at 800-450-3440.